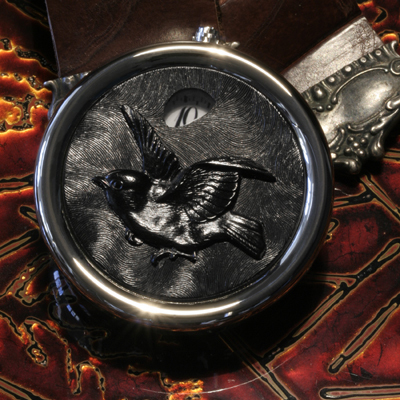 Very few people know much about Angular Momentum, the swiss watchmaking company that specializes in artisan wristwatches and what they don’t know would surprise them because AM is a one man creative team. 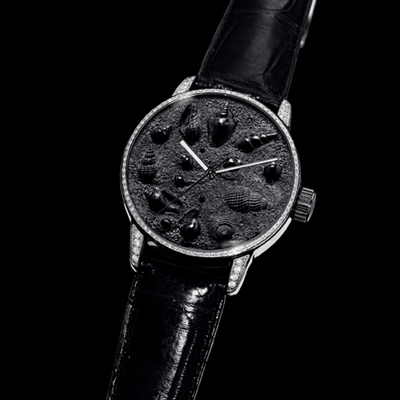 Sure, there are a number of watchmakers that run their own brands but they peg their personalities on their watch brand and usually don’t have the scale of work that Martin Pauli has done. Adnan: Could you tell me a bit about how Angular Momentum came into being and how do you see it’s place in the world of watches? Martin: To start with, Angular Momentum is a sole-manufacturing company or in other words a one-man company. 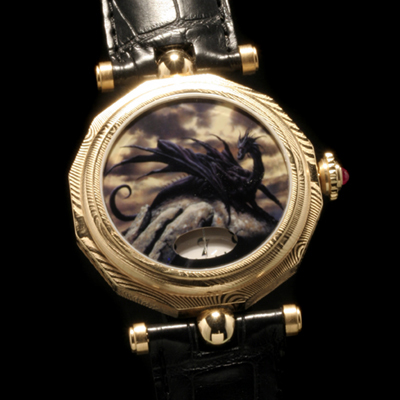 All works from case making to enamel dials or miniature paintings are executed by myself. I’m not an educated watchmaker. In my former life, I worked as an art director and marketing director for department store companies in Switzerland. Beside my regular job – For the past 30 years – I have worked as a goldsmith a custom knife maker, book illustrator, miniature painter, metal worker, teacher and lecturer at art and design schools in Switzerland and some more things. 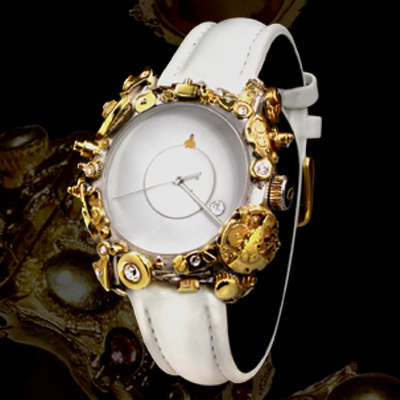 One day I came in contact with watch making and decided to create and finally manufacture my own watches. The world has changed tremendously in the last 15 years since I started. A lot of ups and downs, insignificant regions of the world became significant and vice versa, economy and consumer behaviors change every few years. In the beginning, I had worked to build up a distribution network – as everybody does or did in the past. But at the end of the day, I realized that classic distribution and retail business is a highly competitive field, all about margin, prices and payment terms and obviously controlled by the big groups. Some years ago, I decided to find new ways and started to focus on bespoke and custom made watches as an independent sole-watchmaker and that is where I’m at. Adnan: That’s very impressive. You don’t mention yourself on your marketing material. Martin: I indeed never mentioned myself in the marketing material. I don’t exactly know why but the main marketing concept was only to show the product. I also never bound the product in the communication to testimonials. I thought the product shall speak for itself. Today I have some customers, who want to build up their marketing strategy on personality. We will see what turns out. Adnan: So who is the typical Angular Momentum customer? 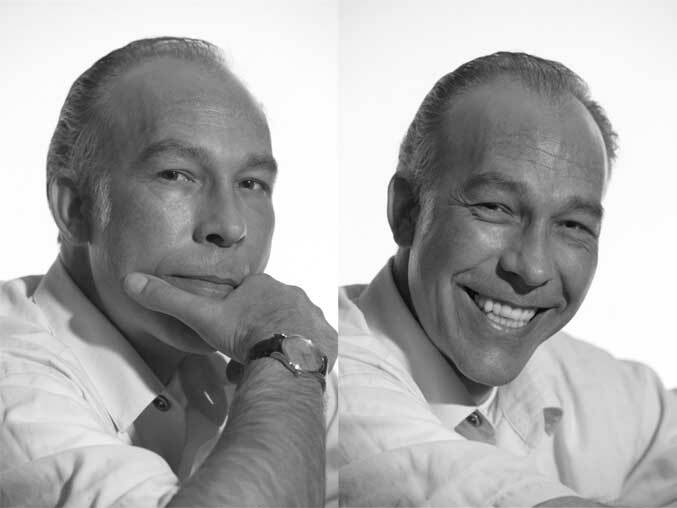 Martin: Today I do what I really like to do which actually is the best I can I assume – and have also found many customers around the world, who consider their market advantage to be to offer special and custom made product to their fastidious clientele. The typical AM customer is not easy to set. Our customers (retailers) are not these kind of classic retailer with a boutique and sales staff. Most of our customers run sales rooms, by appointment only. They have built up a special clientele over the years and they act more as a gallery owner than a retailer. 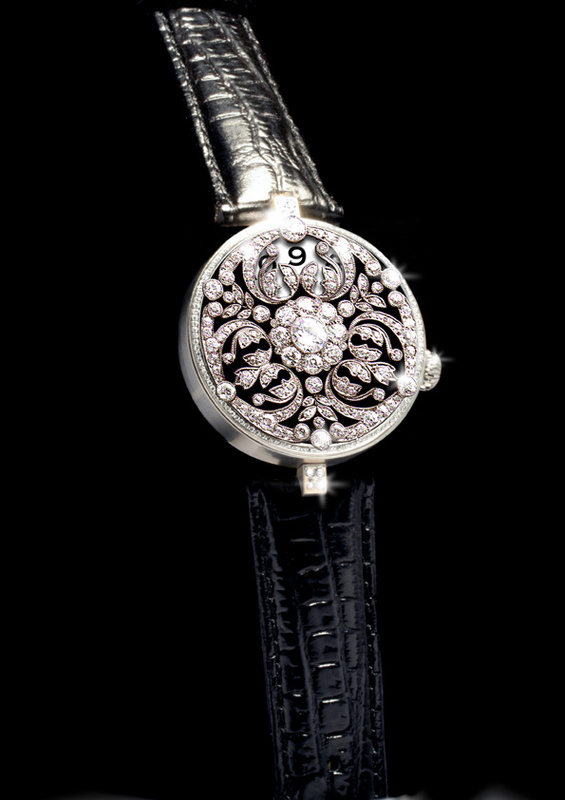 I make custom made artisan timepieces and object for a new rich clientele in Hanoi, the Royal family of Saudi Arabia, Russian Oligarchs in Moscow, the King of Malaysia and many more but also sell watches to simple watch collectors all over the world, watches for retail price CHF 2500.- to 5’000.-. I think the AM customer can be described as a self-confident person who himself determines what he likes but not necessarily something that everyone has. Adnan: I noted that you secured the patent for the Revolving disk system in 1999 that states that a watch hand can be replaced by a disk. But didn’t Tian Harlan, who did the color time watch in the eighties, beat you to it? Martin: Our patent says, that a hand can be a disk with “numbers” set or printed in Counter-clockwise direction. But maybe you noticed, that a lot of companies used revolving disks, B&R, RSW, even independent watch brands. Who cares, its impossible to defend patents except when you are as big as Swatch or Richemond. Adnan: How many of your designs are self initiated versus instructed by clients? And what is the creative process like? Do you collaborate often with the client? Martin: Most of the basic designs and techniques are self initiated. Many of my customers visit me at the atelier and look over the many sample watches, dials, paintings, case prototypes and other either what they see or get inspired and we work out together new ideas. Adnan: What is the most popular piece Angular has built? 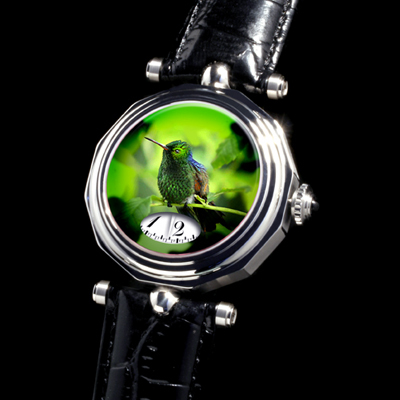 Martin: The best selling products since a few years are artisan timepieces with Verre Èglomisè miniature paintings on the reverse of the watch sapphire crystal. 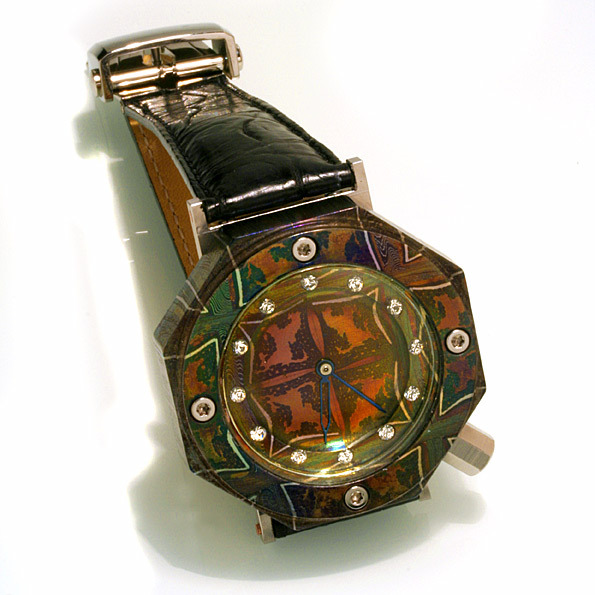 Adnan: How much of your business involves custom artisan wristwatches and objects versus regular models? Martin: Today artisan timepieces, especially bespoke and custom made are 90% of the annual production at last with the annual production capacity at around 250 pieces. Adnan: Finally, how did you get into miniature painting? Martin: I have studied arts at the school of art and craft in Switzerland. Academic painting was a minor, miniature painting was a side interest. 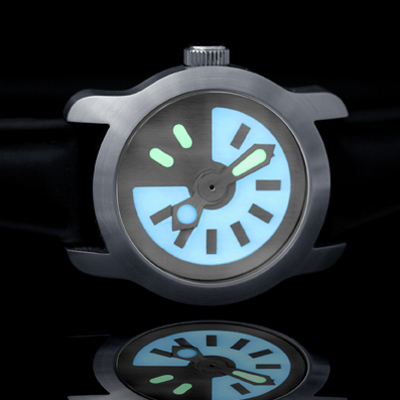 God, I really liked those ‘Illum Aqua’ watch! 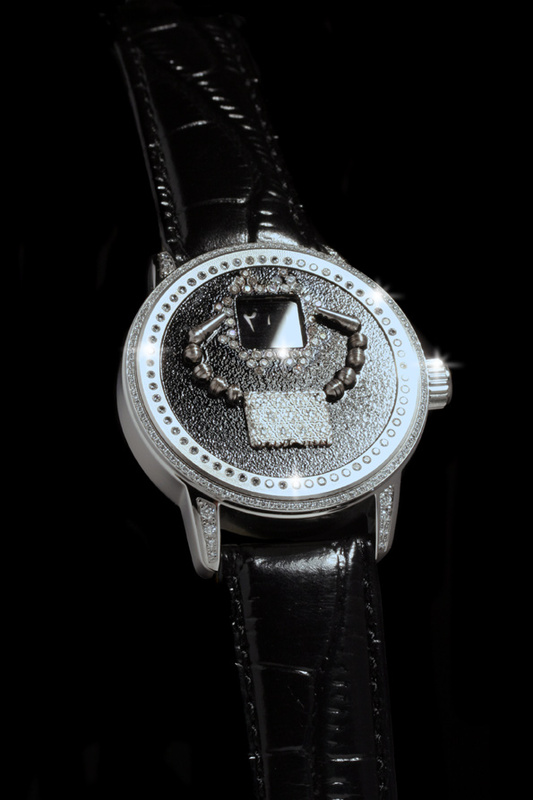 Greubel Forsey collected the L’Aiguille d’Or or Golden Hand , resienocgd to be the most prestigious of all the industry’s awards at the 2010 Grand Prix d’Horlogerie de Gene8ve held tonight at the Grand The9e2tre de Gene8ve. Their winning piece, the Greubel Forsey Double Tourbillon 30b0 Edition Historique is a superb piece of horological engineering, released in an ultra exclusive edition of just 22 pieces and one which we reviewed earlier this year here.